My whole life has been committed to obtaining knowledge about fitness and competing in athletics. 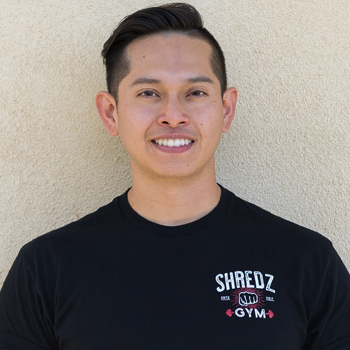 My passion as personal trainer is to give people the missing tools in order to help them reach and excel their fitness goals and personal health. A reason why I chose personal training is because it collaborates with my future goals in becoming a Physical Therapist which has expanded my knowledge and passion to learn more about the human body and how it reacts to exercise. Personal training to me is not only to train clients physically but also help guide them through everyday obstacles that can hinder them from obtaining maximal results. I focus to tailor each exercise program to each specific individual to help maximize results the quickest and safest way as possible. I have helped clients ranging from all ages and skill levels reach goals in many different avenues of training which include pre-surgery and post-surgery rehabilitation, functional training, weight loss, strength training, sport specific training, muscle building and NPC physique competitions.